The Japanese artist, Sōami, is known for an array of areas linked to high culture in the land of the rising sun. Hence, he is strongly linked to Japanese aesthetics and the power of high culture that impacted greatly on the ruling elites. Therefore, throughout his life, he focused on the finer things in life and connected this strongly with Zen Buddhism. Sōami (1472-1525) belongs to the world of the Ashikaga Shogunate and the power processes that utilized Japanese aesthetics. Indeed, his rich family history in relation to Nōami and Geiami meant that high culture was second nature for Sōami. Along with the importance of Zen Buddhism and Japanese aesthetics, Sōami also was inspired by the art of the Southern School emanating from the Middle Kingdom (China). 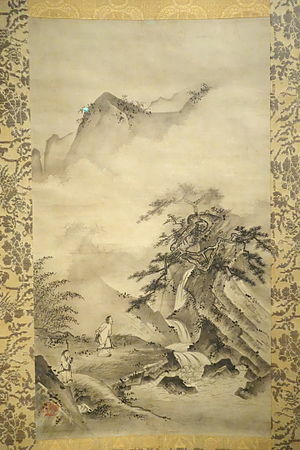 This meant that Sōami wasn’t afraid to go against the grain because this art form from China was disregarded by many Japanese artists of his day. Sōami, known for Japanese aesthetics, focused on an array of areas related to Japanese high culture. 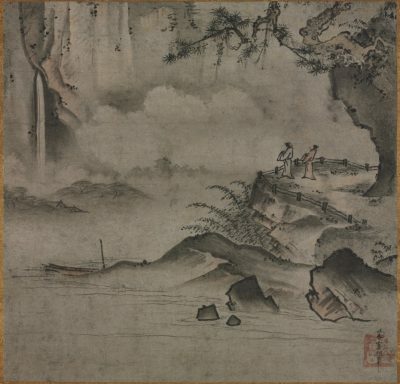 Hence, the areas of art, flower arranging, landscape gardening, poetry, the tea ceremony, and other notable areas related to high culture, were all part of his aesthetics spirit. This was naturally enhanced by the philosophy of Zen Buddhism to Sōami and how he viewed the art of the Southern School emanating from the Middle Kingdom. In the realm of Japanese landscape gardening, Sōami designed the distinguished Ryoan Temple and Daisei-in gardens. Of course, the influence of Zen Buddhism and philosophy related to this faith naturally flowed during his esteemed designs. Overall, this notable artist was inspired greatly by Mu-ch’I Fa-ch’ang from the Middle Kingdom and in the realm of ideas, Zen Buddhism. Therefore, given his family background – and his love of Japanese aesthetics – this notable Japanese artist continues to be cherished by individuals who adore high culture.